CTWS members are proud to supervise and support a wide variety of postgraduate research on travel writing. Meet some of the postgraduate associates of the Centre for Travel Writing Studies and find out more about their research below. Sofia Aatkar is an AHRC and M3C-funded PhD student. Her research focuses on Caribbean-British travel narratives and she is particularly interested in how (and to what extent) Caribbean travel writers such as Edgar Mittelholzer, Ferdinand Dennis, and Amryl Johnson offer a response to Eurocentric ideas of travel. Sofia co-edited an anthology of travel writing called Caribbean Journeys (2018), which was one output of a community-led project she coordinated in collaboration with Kelsi Delaney and Museumand: The National Caribbean Heritage Museum. She is also the co-director of the network New Voices in Postcolonial Studies. Becky Cullen is an AHRC Midlands3Cities PhD candidate in Creative Writing and English. Her creative and critical thesis, 'Mastering Time: Temporality in Contemporary Poetry', looks at the ways that a poem is in dynamic movement, travelling between temporalities of past, present and future. 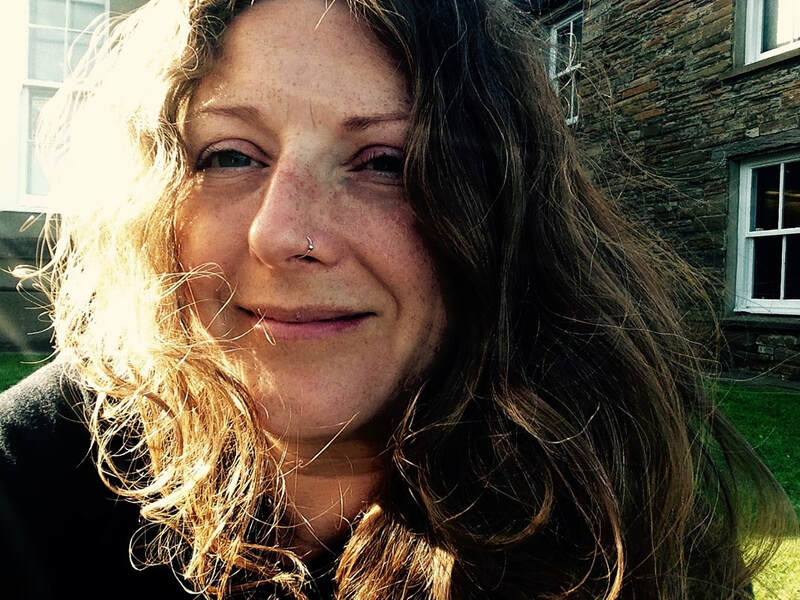 Becky is writing a collection of her own poetry and a critical work which discusses the connections between poetry and the repetition of time, the way that poetry stratifies time, and poetry and the disturbance of time. Becky is an AHRC/Midlands3Cities Poet-in-Residence at Newstead Abbey, former home of the poet and traveller Lord Byron. She blogs at www.newsteadabbey.org.uk/becky-cullen-poet-in-residence. ​Geoff Geis is an AHRC M3C funded PhD student in creative writing at the University of Birmingham. His project ‘Desert voices’ consists of a novel set in the Sahara desert during the colonial period and a critical reflection on some of the problems of representation invoked by the creative work. These include the ways that western perspectives, which frequently construct the desert as empty and timeless, as a terrain lacking in intrinsic value or one of escape from the dissatisfactions and constraints of western living, might be set alongside and challenged by indigenous ‘voices’. The thesis will explore how contrasting perceptions of desert time, space, movement and cultural belonging might be woven together in a single text to create what Bakhtin calls a ‘polyphonic’ or multi-voiced novel. In addition, the research considers questions of the ethical and political issues invoked when writing about other cultures and representing the voice of ‘the other’ and, conversely, the implications of ignoring this voice. While these problems have no easy solutions, the intention is to work within but also interrogate the tradition of Saharan writing in fruitful ways, going beyond literary pastiche and drawing on postcolonial texts and insights toward a critically engaged final work. Tim Hannigan is an AHRC Midlands3Cities PhD candidate at the University of Leicester. His thesis, “Journeys in Search of Travel Writing: A Creative-Critical Interrogation of Travel Writing as a Genre”, is an investigation of modern travel literature, with a particular focus on ethical issues, written in the form of a travel book. 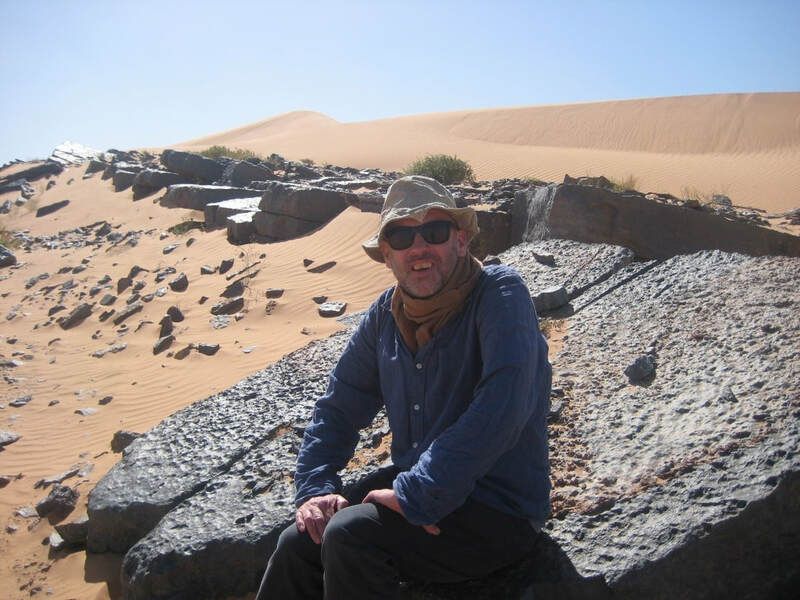 The project involves interviews with notable travel writers, and a self-reflexive examination of travel writing practice.Tim is an experienced professional travel writer, having worked on numerous guidebooks and newspaper and magazine travel features. He is also the author of three books of narrative history: Murder in the Hindu Kush (2011), which was shortlisted for the Boardman-Tasker Prize for Mountain Literature; Raffles and the British Invasion of Java (2012), which won the John Brooks Award; and A Brief History of Indonesia (2015). Juliet Gryspeerdt is a PhD student in Spanish and Portuguese studies at the University of Nottingham. Her doctoral research investigates the memory of the medieval Islamic presence in the south-west of the Iberian Peninsula. Whereas al-Andalus tends to be associated exclusively with Spain in the European consciousness, it also encompassed southern Portugal until the twelfth century. Juliet is interested in how (late) modern writers have approached this marginalised heritage, in particular their use of an imaginative engagement with place to represent the period and recuperate the memory of these forgotten west-Iberian Muslims. Her project looks firstly at a corpus of travel writing on Portugal from 1780 to 1980, written in English, French and Portuguese. This part of her research also includes a comparative study with nineteenth-century travel writing on Spain. Her second line of enquiry involves examining the links between travel writing and related historical fiction that takes medieval Islamic Portugal as its subject. Jean Morris is a PhD candidate at Nottingham Trent University. Her project reimagines the migratory journey made by a female ancestor across the Mediterranean, from the Iberian peninsula, in 1492. The journey also explores migratory phenomenon through diverse theoretical discourses. The thesis is presented as a collection of intersecting essays and the narrative blends fact, fiction and biography using both historical and contemporary sources. Themes include: radicalisation, forced migration, border-crossing, detainment and the lure of ‘promised’ lands. Her PhD is funded by the Vice Chancellor's Research Development Scheme. Before pursuing a PhD, Jean worked in the publishing industry as an editor, commissioning fiction for children and young adults. Alongside this, she was tutor and lecturer at the School of Communication Arts and has taught Creative Writing at various youth projects in London. Jenny Owen (published as Jenny Walker) has a long academic engagement with Middle Eastern travel, including an undergraduate dissertation on Charles Doughty and T E Lawrence, an MPhil thesis on the perception of the Arabic Orient (University of Oxford) and ongoing PhD studies at NTU in which she focuses on the Arabian desert as trope in modern travel writing. Arguing that the desert is often used as a tabula rasa upon which to project a complexity of ideas connected with ‘home’ rather than ‘abroad’, Jenny’s PhD places desert travel in the wider discourse framing the region. The study surveys the main themes in the history of desert travel literature, examines the phenomenon of so-called footstep journeys, traces the distinction between desert and sown, explores gender issues in wilderness literature, and considers the role guidebooks play in the commercialisation and democratisation of modern desert travel. 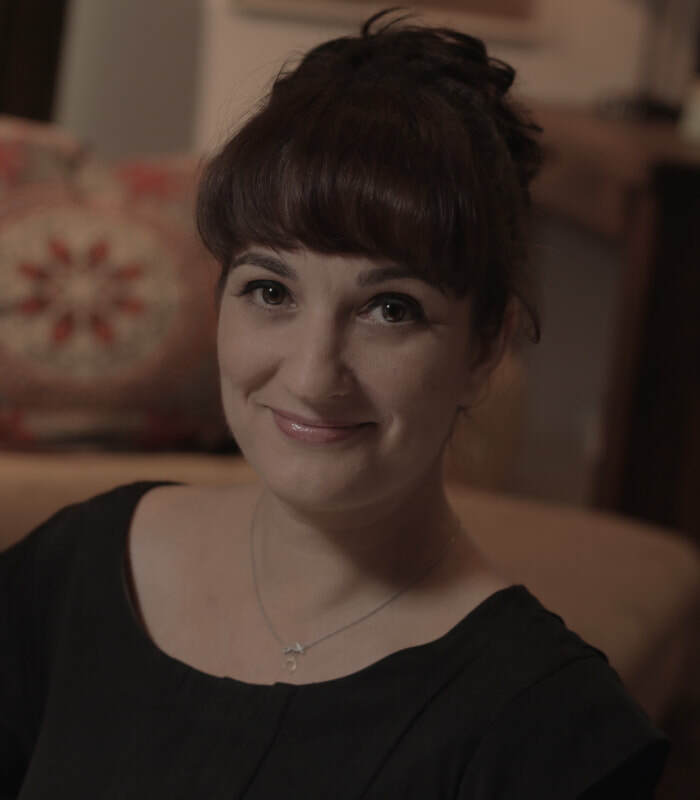 Jenny has written widely on the Middle East in twenty Lonely Planet guidebooks and her articles have appeared in Wanderlust, the Observer and the National Geographic. She co-authored an off-road guide to Oman, is a Fellow of the Royal Geographical Society and a member of the British Guild of Travel Writers and the Outdoor Writers and Photographers Guild. For the past eight years she has held the post of Associate Dean at Caledonian College of Engineering in Muscat. Aly Stoneman is a Midlands3Cities AHRC-funded Doctoral Researcher at Nottingham Trent University. Her PhD is a practice-led investigation of British contemporary poetry, sea-level rise and coastal flooding. She is the Poetry Editor at LeftLion Magazine and holds an MA in Creative Writing. A winner of the Buxton Poetry Prize (2015), in 2016 she was a commissioned poet for The Observatory at National Trust Mottisfont and Guardian Award-winning project Dawn of the Unread and has read and performed her work at many events including Copenhagen International Poetry Festival and Ledbury Poetry Festival. Lost Lands, her debut pamphlet, was published by Crystal Clear Creators in 2012. Aly's research (2016-2019) will include visits to settlements and heritage sites on the British coast that are vulnerable to coastal change. For more information about Aly's work visit www.alystoneman.co.uk. Amy Williams is an AHRC Midlands3Cities PhD candidate in History. Her thesis ‘The Memory of the Kindertransports in National and International Perspectives’, seeks to present the first comprehensive examination of the different national and international memories of the Kindertransport. In analysing 'Kindertransport', she considers not just the actual rescue of Jewish children from Nazism (1938-1939), but also its effects, i.e. transplantation to a new and strange environment, with all the ensuing complications of adaptation and integration. Amy’s undergraduate and Master's research focussed primarily on British memory of the Kindertransports, demonstrating a late re-emergence of interest in this event in the 1980s and how this historical event is represented in fiction. However, her PhD project aims to branch out from the British narrative to reveal stories of the Kindertransport in other host nations (Sweden, Belgium, America, Canada, Australia, and New Zealand), which are not as explored or recognised as the British story of this event. A comparison of these various host countries will reveal that memory of the Kindertransports was not uniform, but shaped by national factors such as the role of these countries in the war, their post-war political, economic and social development, social and cultural policies towards refugees, and nationally conditioned memory discourses. Amy is also involved in Talking Heads, a CDF-funded programme of training events at NTU, and is co-running The Logic of the Archive.